Hi there. 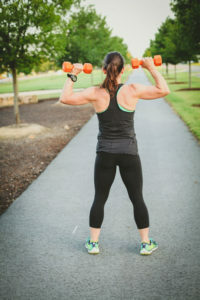 I’m Rachel Flanagan, and I help the stressed and overcommitted mom over 40 find ways to fit fitness into her life so that she can build confidence, strength, and calm even in the midst of a chaotic life. I have always identified as type A personality, both in my professional and extracurricular life. Before I had kids, I had all the time in the world to commit to my fitness endeavors or long hours in the office. But after kids came along, juggling priorities became a new challenge. As someone who has always identified as an athlete, I knew it was important to keep that torch alive, but in a way that made sense with my growing family. Staying fit has always been important to me, not only to stay physically fit, but also just for maintaining my own sanity. Exercise is therapeutic for me, and many of the women I coach feel the same way. Exercise, more than anything, has showed me just how powerful and strong I am as a woman. As a kid, I did tons of individual sports — gymnastics, skiing, track. But in college, I started playing rugby, and discovered the power of the all-women’s team. I was hooked. My world was turned upside-down when I was told I needed a surgery on my knee in my late 20s—and then two more knee surgeries in the years to follow. I was lost as to what to do, without rugby, and with doctors telling me I couldn’t do any distance running. But when someone tells me I can’t do something, it just makes me angry and defiant. In the year I turned 40, I completed my first full marathon, and then went on to run two more. I was told that I couldn’t strength-train heavy weights, and now that’s one of the most integral parts to my own fitness regimen. Exercise is about more than just building physical strength. It’s about building confidence and power, showing yourself what you’re capable of, despite what people tell you about your limitations of age or otherwise. Whether you’ve been exercising your whole life or have taken a long hiatus . . . Whether you’ve let exercise take a back seat to a busy career . . .
Then click below to learn more about my programs and how I can help you.